With more Android users becoming confident and trying to flash custom ROMs and kernels, it’s nice to have an “easy button” for some of these processes. Say “what’s up?” to UniFlash. 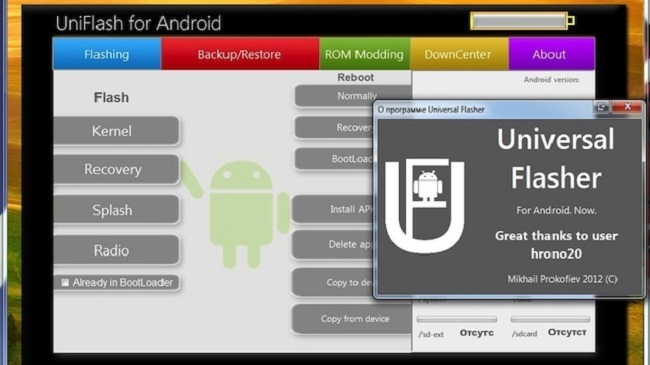 UniFlash is software developed by a user over at XDA that is installed on Windows machines, which can complete almost any task involving root/flashing/installing etc. for any device running Android. With an easy to navigate interface, this might be a beginner or experimenter’s new best friend. To get started, you will need to either have a device with an unlockable bootloader and/or S-Off capabilities. If you have that, all you need then is a custom recovery such as Clockwork Mod. Have that too? Then you’re ready to get started. The software automatically recognizes your type of device and right off the bat, you can backup your device, install new software or anything else you want to tinker around with. To download and try out UniFlash, check out the original XDA thread here. LG Optimus G Could Hit the U.S. in November, Similar to the LG Optimus Nexus?